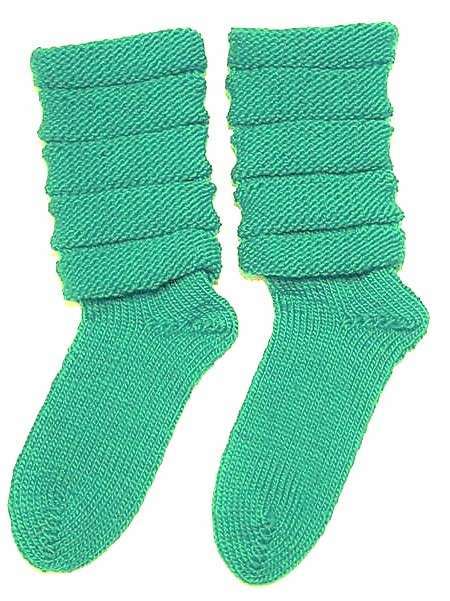 Keep your feet and legs comfy and warm with these knee highs knit in luxurious merino superwash wool. Wear them pulled up for knee highs or let them gather around the ankles as slouchy socks. SIZE: Fits a women’s size 8. To make the socks larger/smaller, work more/less rounds in the foot area. 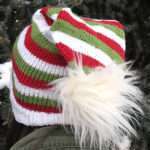 k=knit stitch (note: Work the knits on cuff with the true knit stitch. 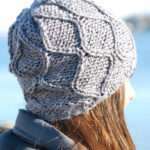 Work the knits on the rest of the sock with the flat knit stitch.). Rep last rnd until foot measures 7” from the heel or 1.5” – 2” less than the length of the foot (depending on snugness desired). Rep short row heel instructions for the toe. When finished, there will 3 loops on pegs 1 and 20. Lift the bottom wraps over the top loop on both pegs. Remove stitches from pegs 40 – 21 and place on one double pointed needle. Remove the remaining stitches on a second double pointed needle. Using the kitchener stitch, graft the toe closed. 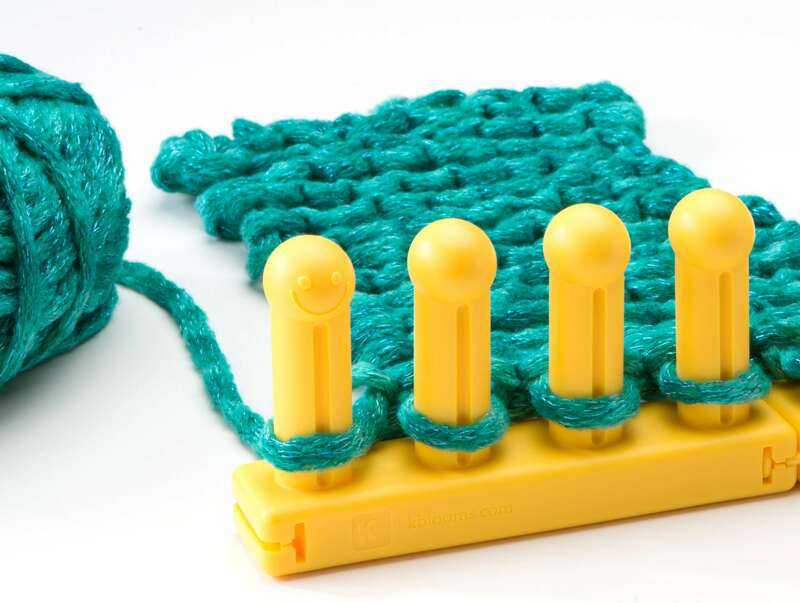 Instructions for grafting with the kitchener stitch with needles can be found in Loom FAQs: What Are The Tricks To Knitting Socks? 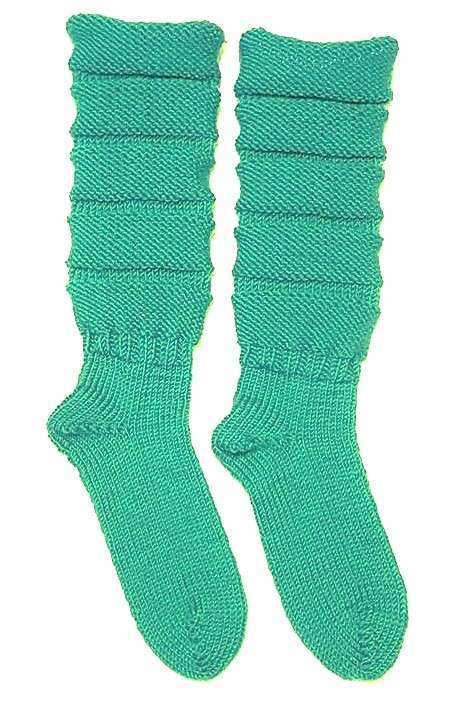 Alternate method of grafting: Using the method demonstrated in Loom FAQs: What Are The Tricks To Knitting Socks?, transfer the stitches from pegs 1 – 20 to pegs 40 – 21 and use the kitchener stitch to graft the toe closed. If you have questions or comments, please feel free to contact Renita Harvey by leaving a comment below.